Harlem Shake, which opened less than a month, already has lines out the door and unreasonable waits for its burgers and shakes. Fortunately when Harlem2Nippon dropped by, the line wasn’t that long we ordered a classic cheeseburger ($6.95), regular fries ($3.50), and the signature Harlem Shake ($5.75) which is a ‘red velvet’ shake. 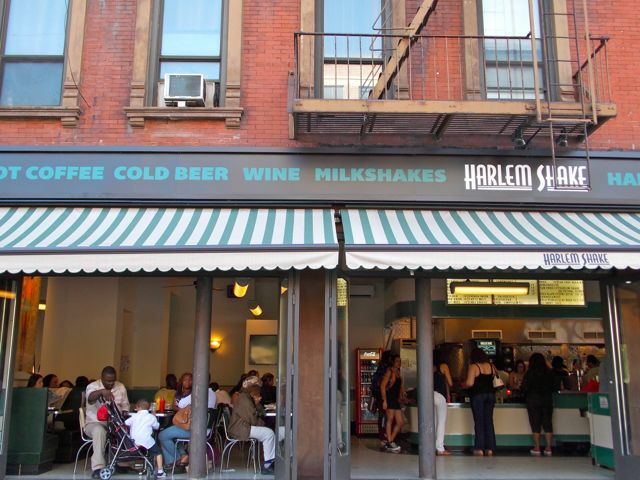 If you’re a fan of Shake Shack, you’ll love Harlem Shake! 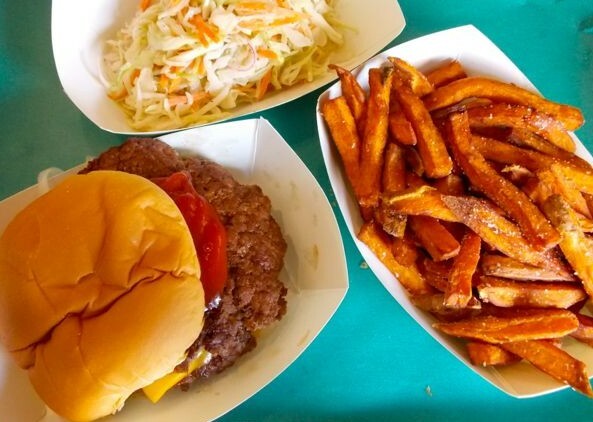 The burgers taste virtually identical (to me, at least) — and you can taste the freshness and the quality of the beef. The fries are light, crispy, and taste like they were cut today. Outstanding. Sweet yam fries ($4.50) were sprinkled with sea-salt and go perfectly with beer. They pulled the vintage 50’s retro theme off nicely without looking too kitschy. This joint was designed to look like it opened decades ago. Not far from the Apollo Theater this is a great spot to grab a decent burger after the show as it opens until 11pm on weeknights and 2am on Fridays and Saturdays. It’s a nice addition to the neighborhood. This entry was posted in Harlem People, Restaurant and tagged Apollo Theater, Burger Joint, G Dep, Harlem Shake, harlem shake dance, hip hop artists, Lenox Avenue, P. Diddy, red velvet, retro theme, tasty burgers. Bookmark the permalink.